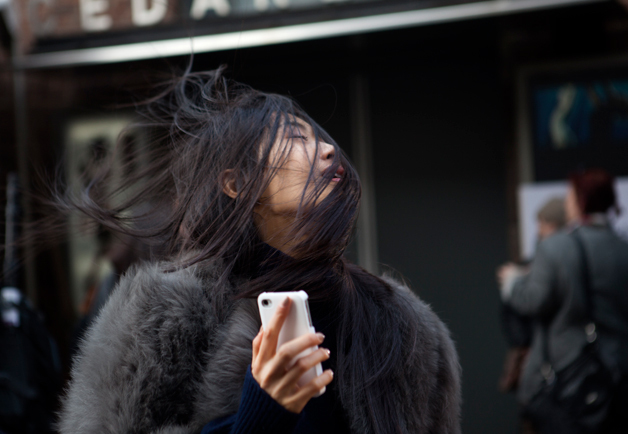 Just a few snaps of all the fashion that happens outside of the shows at NYFW. So in love with the pink Karen Walker sunnies, neon Proenza bag and the floral Celine pants! Loads more amazing streetstyle shots to come so stay tuned. Gorgeous photos, love the colors! amazing photos!!! i adore your blog!! oh i looove the second one and all of the photos with hanneli are so lovely! just got a pair on floral pants myself - they're my new love. i adore the blue coat in the first picture! do you know where she got that? All very inspirational photos! I love the neons, so bright and cheery! And now I feel under dressed. this post rocks. I'm so in love with the layering that's happening, the beanies and Hanneli's amazeballs blue jacket. Beautiful, being in NY during Fashion week in a real fashion treat, even without attending fashion shows. Love it. 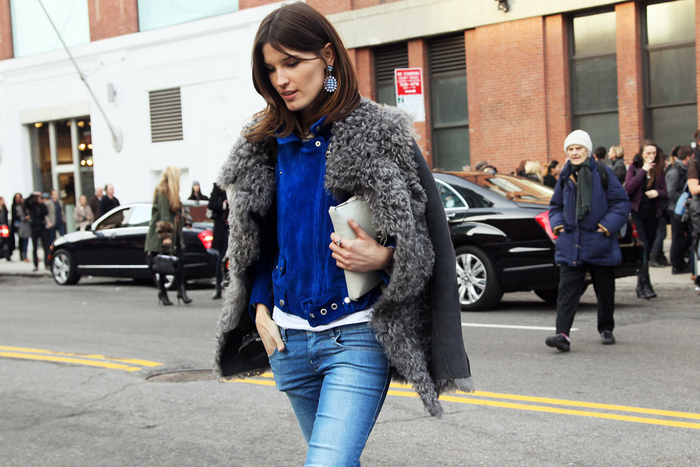 the cut out denims... must be freezing in ny! amazing collection of shots! Cool outfits! i spot Rumi Neely! i love every singlee pic! I love the Aqua rimmed sunglasses. Luv streetstyle, Featured some of those looks on my blog too, check it out. 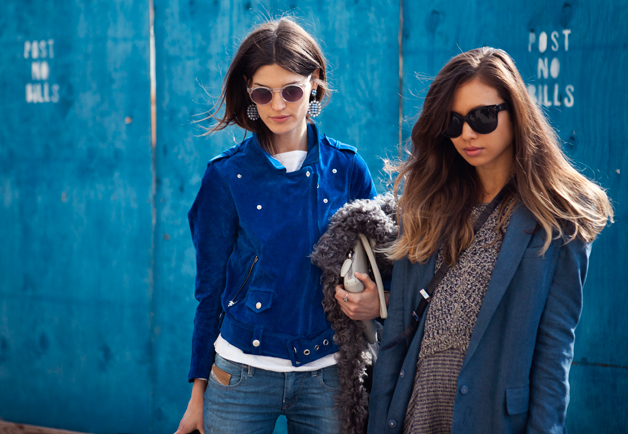 this is the best streetstyle post about this fashion week! pictures like these makes me know that i really want to be apart of the fashion industry. i adore all the shots. I always like good street style and all the people in the above pictures seem to not have good street style but great street style.